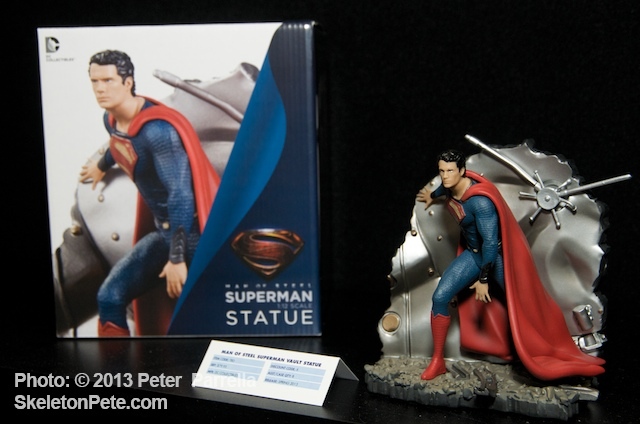 A couple of months ago I was thrilled to furnish a sneak peak at the fabulous Jim Lee designed and Tim Bruckner sculpted Superman and Wonder Woman statue “The Kiss.” DC Collectibles has that slated for October 2013 release. 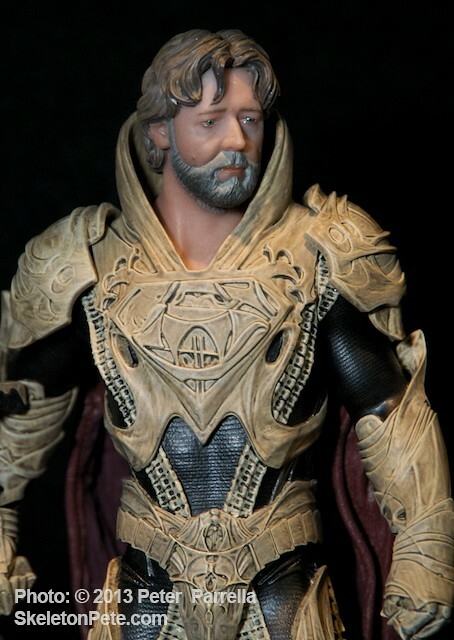 Now, with the premiere of the Man of Steel movie only one month away here’s a look at some of the really exceptional creations based on the emigrant from Krypton soon available to collectors everywhere. 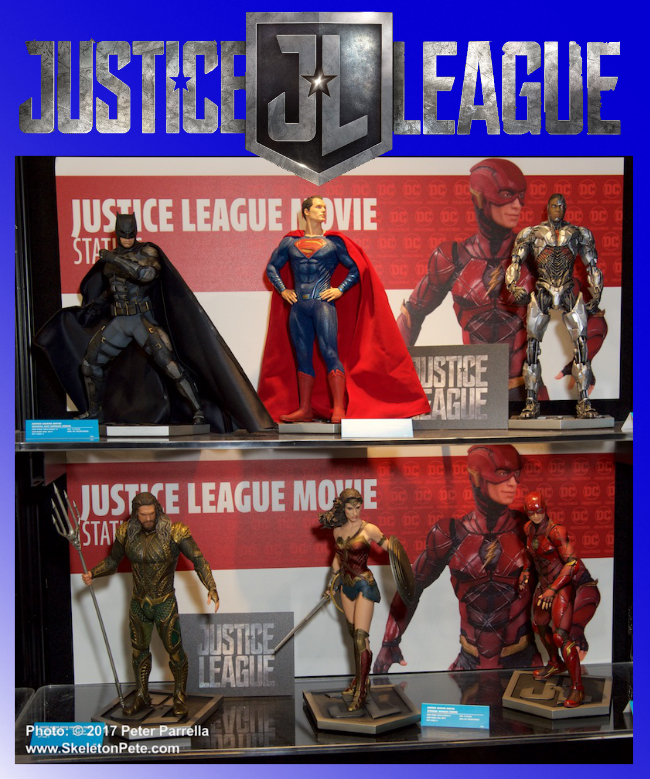 DC Collectibles Iconic Series depicts the characters of the film in 1/6th scale (13” tall) in cold cast porcelain renditions sculpted by the folks at Gentle Giant Studios. 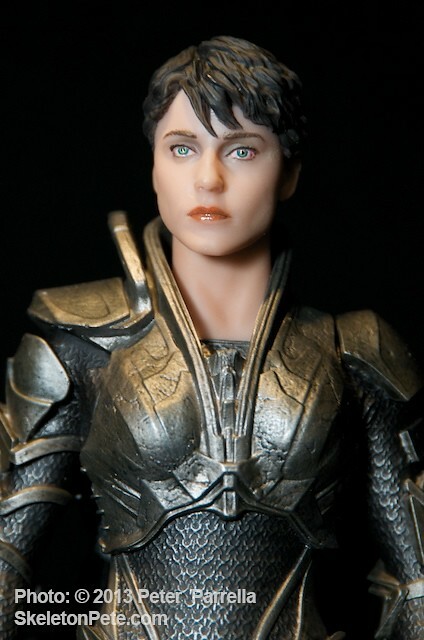 I’ve seen these limited editions up close and personal at New York Toy Fair and was duly impressed with their incredibly life like skin texture and minute detail. 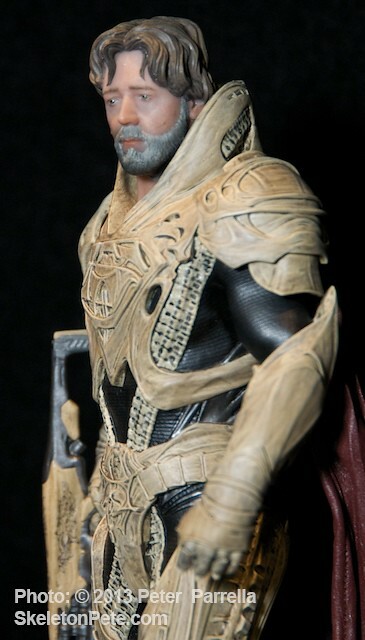 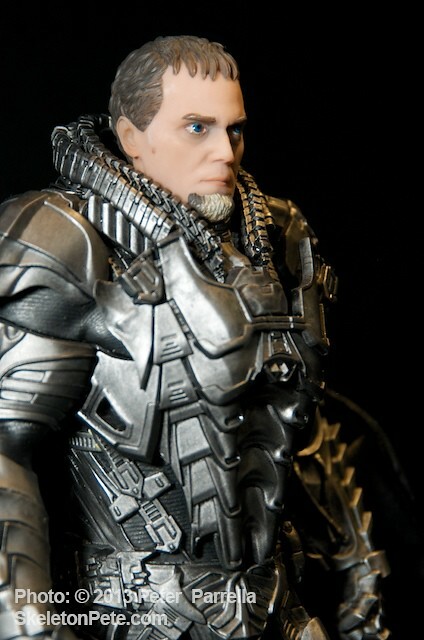 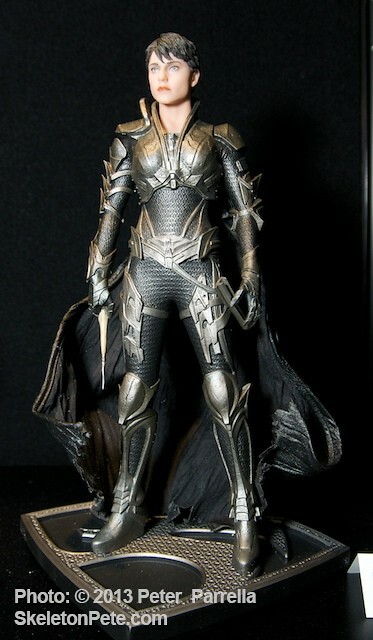 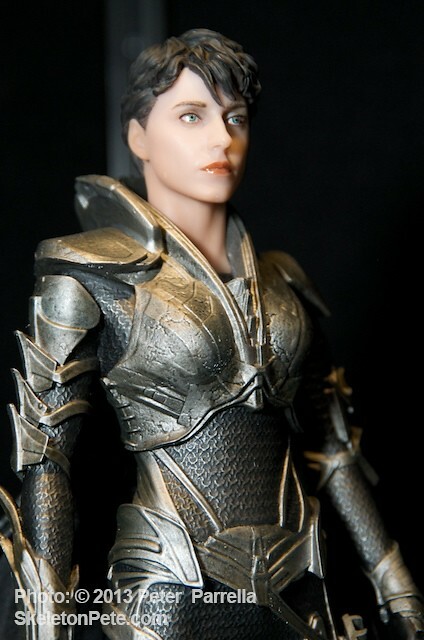 The series includes Henry Cavill as Superman, Russell Crowe as Jor-El, Michael Shannon as General Zod, and Antje Traue as Faora. 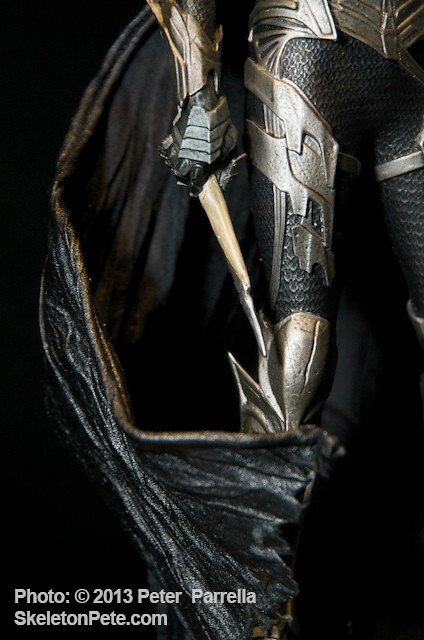 Tearin’ the Doors Off…Also available will be the vault busting tableau pictured above based on the film’s early promo shot. 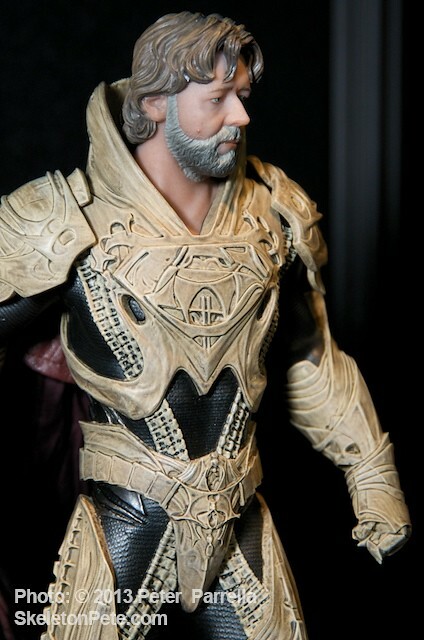 Another Gentle Giant produced piece, this scene is a 1:12 scale hand-painted resin casting. 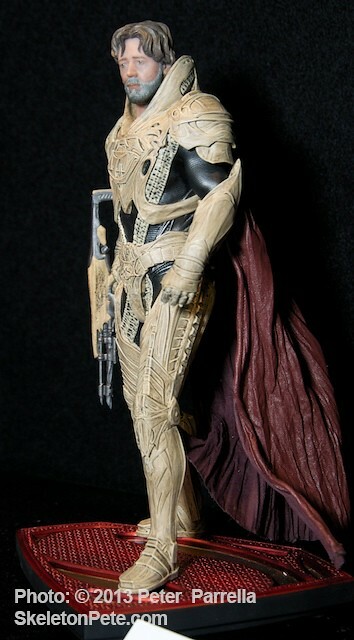 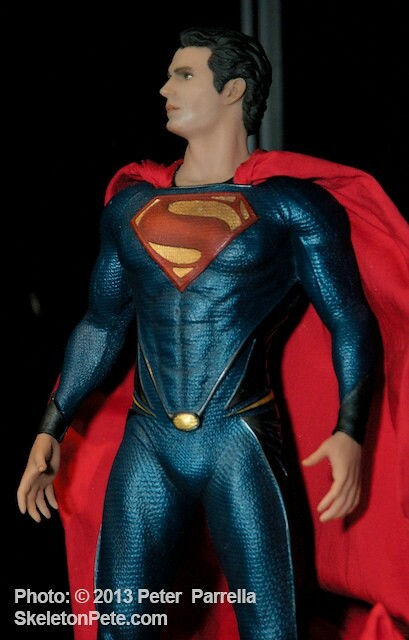 I really like this figure as it is reminiscent of the brick wall busting Aurora Superman model from my childhood. 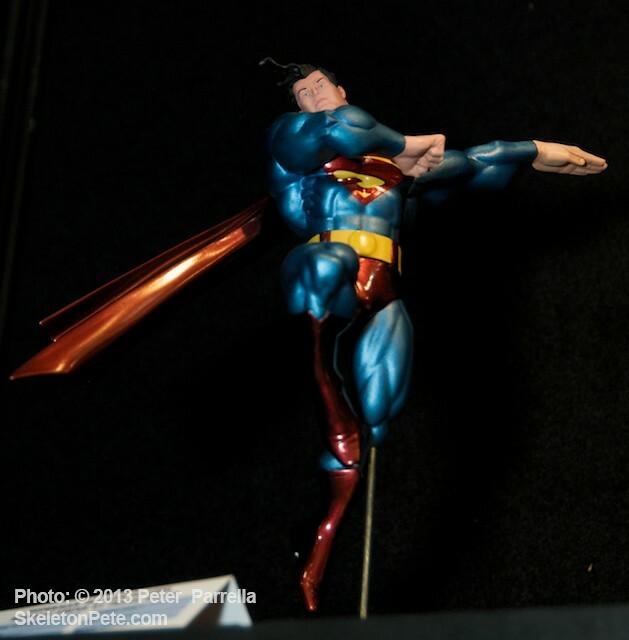 A nice sister assortment to the Batman Black and White Series, DC Collectibles offers Artists Frank Quietly, Jim Lee, Frank Miller, and Rags Morales take their shot at illustrating Superman in 3D. 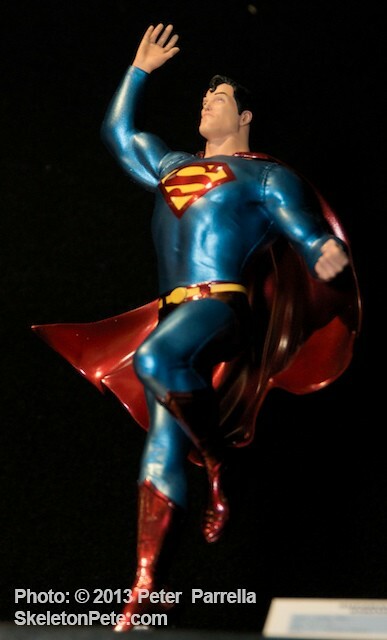 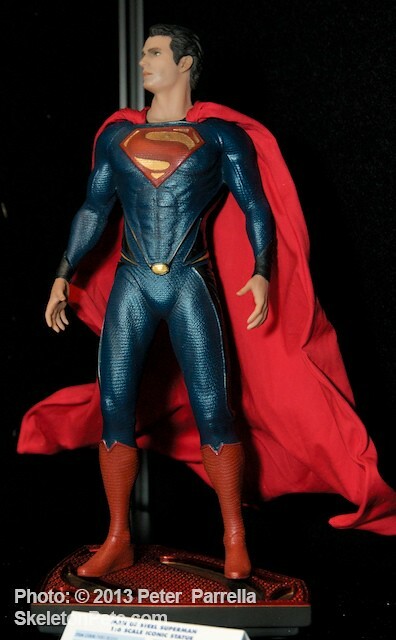 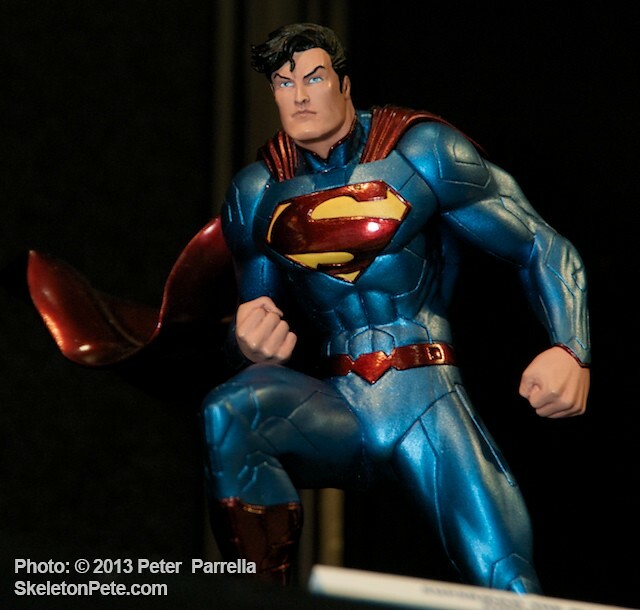 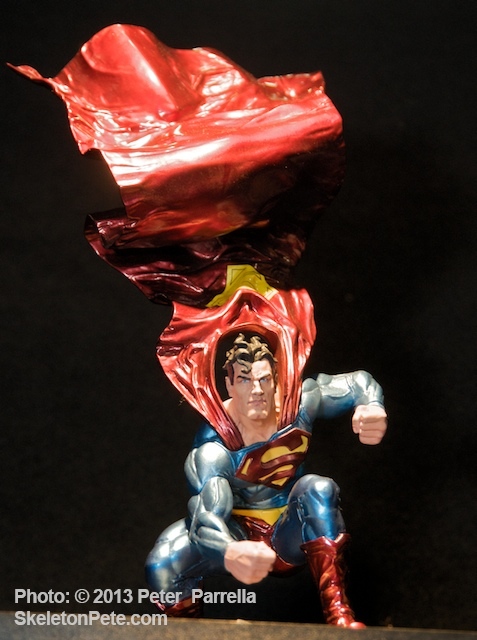 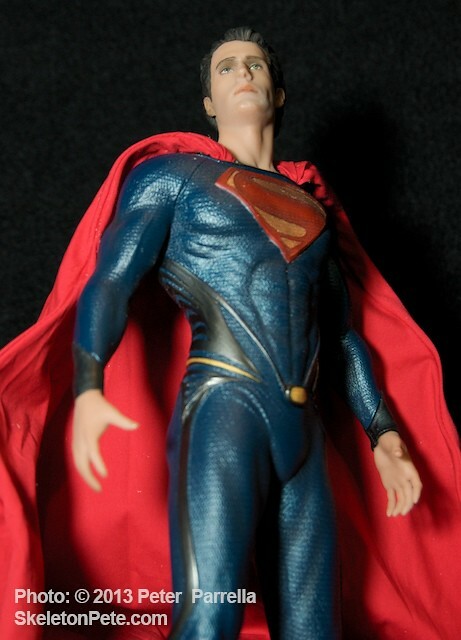 The Superman Metallic Series has already begun roll-out, with additional pieces arriving through the end of 2013. 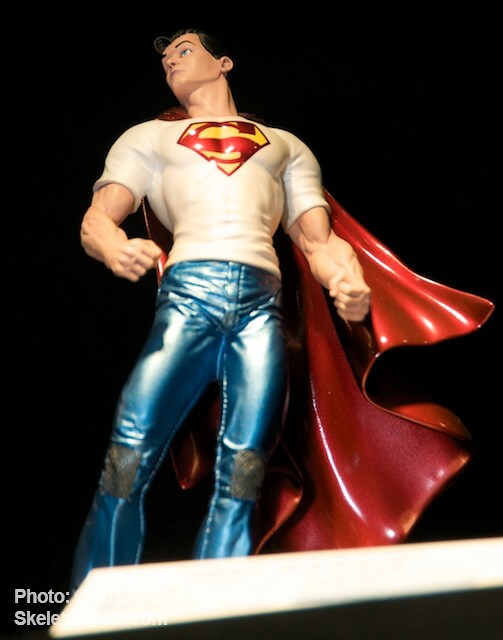 I know there is some trepidation in the comics community on how this film will be spun, that’s a given when a character with the multi-generational longevity of Superman is up for rethink. 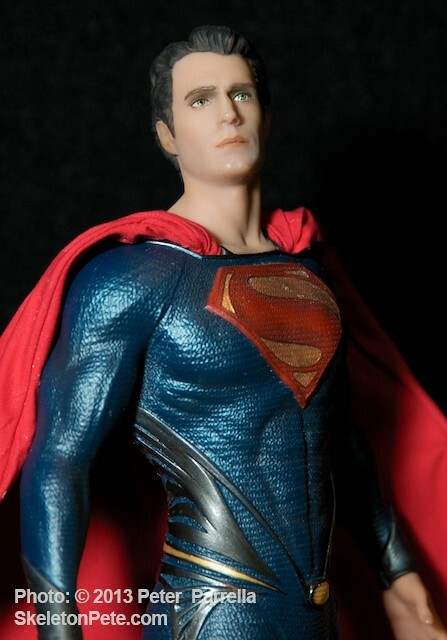 As a fan of Superman 2 (1980), what I consider the best of the Christopher Reeve trilogy, I think the Phantom Zone adversaries hold spectacular potential. 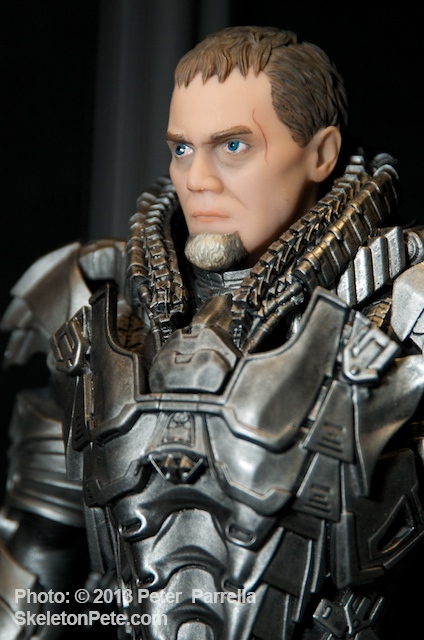 If Michael Shannon plays Zod with half as much crazed zeal as he portrayed Kim Foley in The Runaways we’ll have a doozy of a ride. 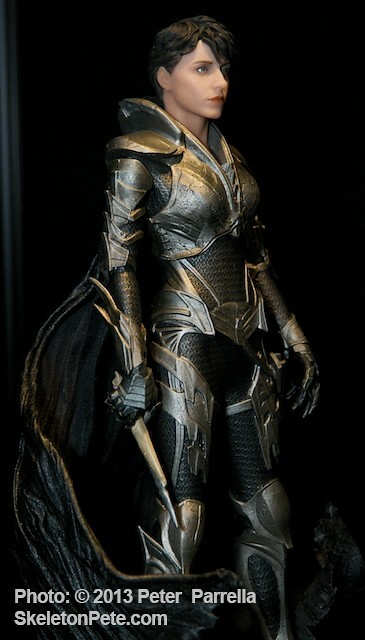 I’m truly looking forward to this one.